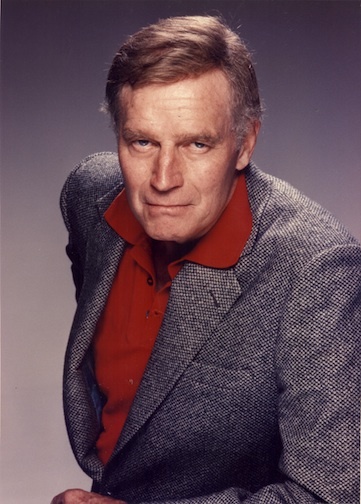 Charlton Heston portrayed Jason Colby, the wealthy, tough business magnate in "The Colbys," airing on ABC-TV in 1987. "The Colbys"was a Richard and Esther Shapiro Production in association with Aaron Spelling Productions. Charlton Heston photos and interview courtesy of Michael Levine Public Relations Co., Los Angeles, California. March 1987. "Entertaining Tucson Across the Decades Volume 1" from Amazon. From 1978 through 1994, Robert Edward Zucker published several Tucson, Arizona-based tabloid newspapers Youth Alternatives, Youth Awareness Press, Tucson Teen, The Magazine and Entertainment Magazine. 2014 © Entertainment Magazine and BZB Publishing, Inc., Robert Zucker. © 2014 BZB Publishing, Entertainment Magazine. All rights reserved.